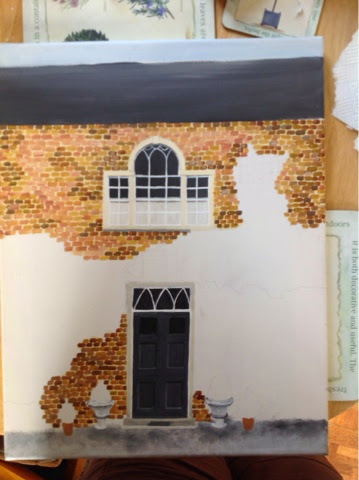 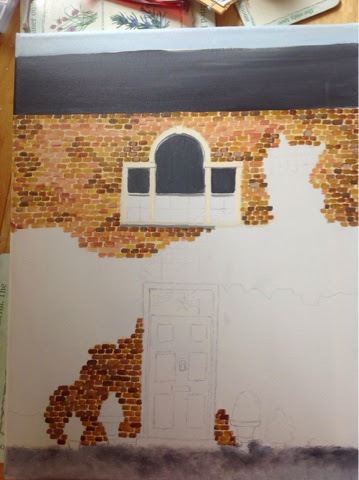 I painted the mortar of the bricks first, then used a small fitch brush to paint individual bricks, changing the colours as I went to reflect the differing colours of the bricks. 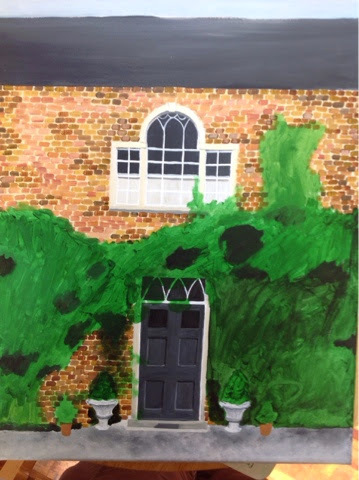 Even though I was going to be covering parts of the door in greenery I wanted to paint the whole door so that it could show through. 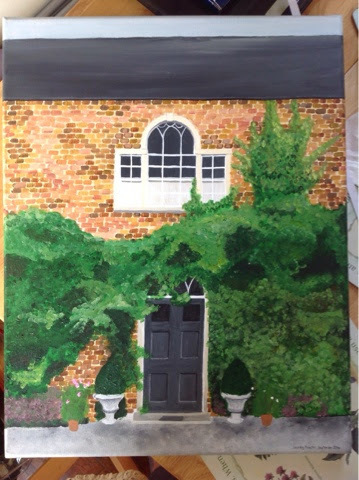 I just scrubbed the paint on, as I was planning on over painting it to do the detail of the plants. 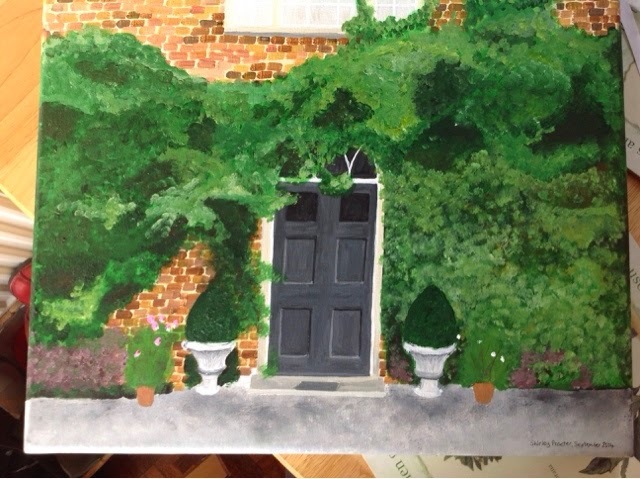 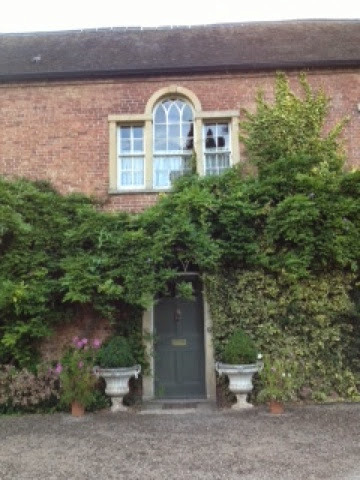 I then painted in the plants - ivy at the top and bottom on the right, conifer in the middle and on the left. 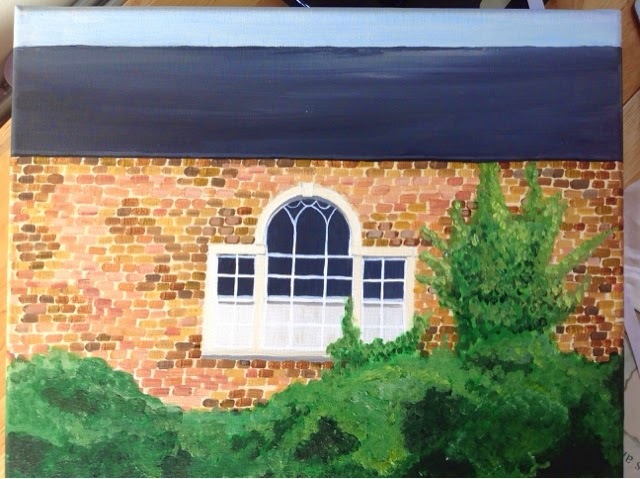 I enjoyed painting this, it was very relaxing!